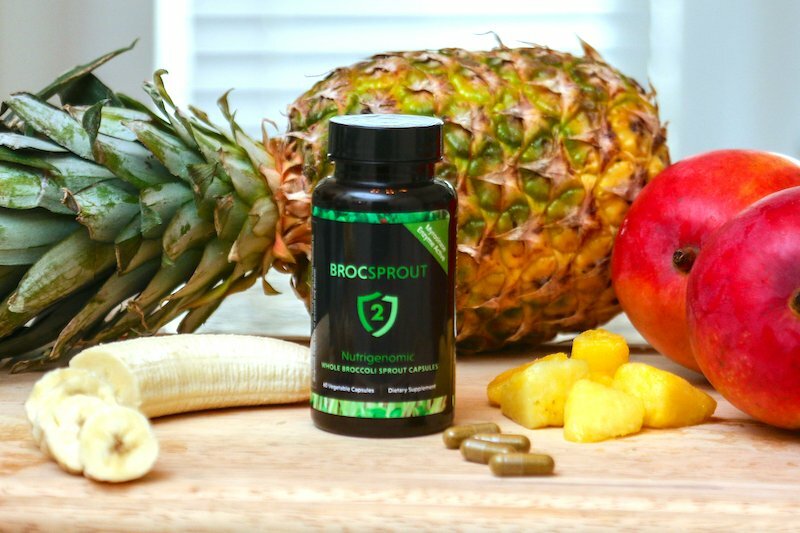 BROC SPROUT 2 is a unique nutraceutical-grade whole broccoli sprout capsule containing the two essential components necessary for the human body to internally produce a dynamic natural molecule called Sulforaphane. 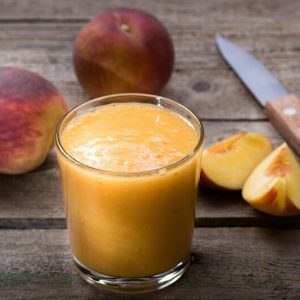 This new capsule can be taken solo or mixed into a delicious and super healthy smoothie – try out the recipe and learn about all the Sulforaphane in this informative post. 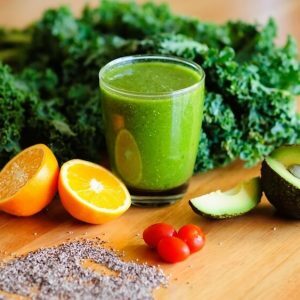 The Sulforaphane molecule is widely considered by the scientific community to be a critical trigger of the human cells’ defense system against conditions such as breast and prostate cancer, inflammation, high blood pressure, high cholesterol, diabetes, asthma and obesity, to name a few. The most potent natural dietary source of Sulforaphane is fresh young whole broccoli sprouts, as they contain both Myrosinase enzyme and Glucoraphanin compound. BROC SPROUT 2 capsules are made entirely from fresh young whole broccoli sprouts, with no chemicals of any kind. You’d have to eat as much as 10 lbs. of fresh whole broccoli sprouts to get the Sulforaphane from a single BROC SPROUT 2 capsule. Sulforaphane was first identified in 1991 at The Johns Hopkins University School of Medicine and has been extensively studied ever since. The results from peer-reviewed clinical trials and research studies are compelling to say the least, a simple search of the internet will reveal a plethora of published works in the U.S. National Library of Medicine and various other medical journals. Sulforaphane is only produced when the Glucoraphanin compound and the Myrosinase enzyme, both of which are found in young whole broccoli sprouts, are combined with moisture (saliva or water). Once generated, Sulforaphane is highly unstable and will only last a matter of minutes, therefore it must be ingested immediately. This is where BROC SPROUT 2 capsules are so potent and convenient. Sulforaphane is rapidly absorbed through your digestive tract and into the bloodstream, where it easily penetrates your cell’s membrane wall. Once inside your cells, Sulforaphane flicks the ‘Nrf2 Switch’ that triggers your cell’s defence system. 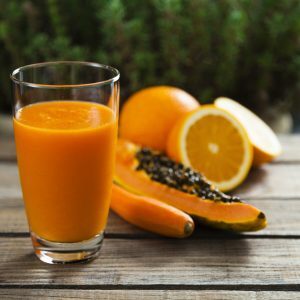 The anti-inflammatory and antioxidant genes within your cells are now activated and ready to combat those disease-causing elements within your body. This is nature’s way of preventing and treating disease. 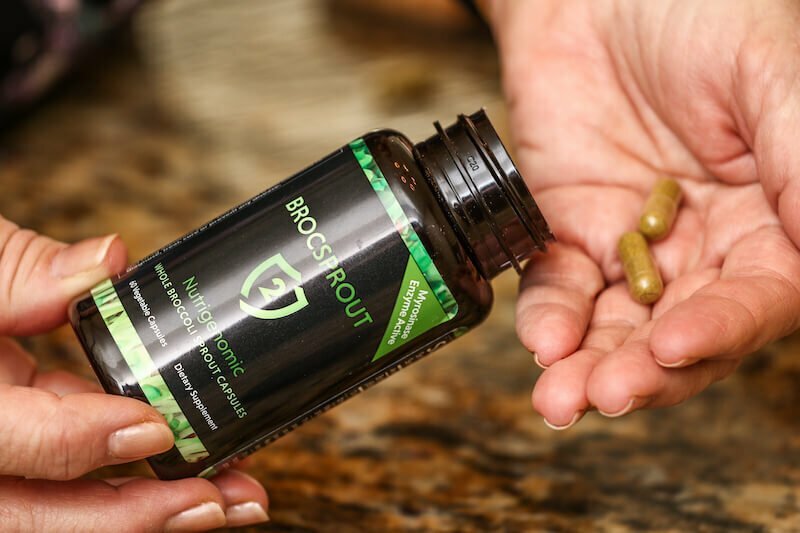 BROC SPROUT 2 capsules are one-of-a-kind, as they ensure the delivery of the Glucoraphanin compound and the Myrosinase enzyme to the body when swallowed. 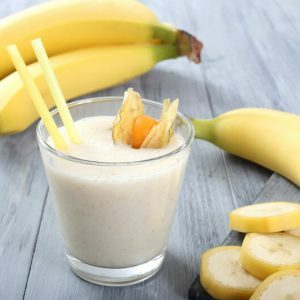 Every batch manufactured is tested for its Glucoraphanin content and Sulforaphane Yield, confirming the activity of the vital Myrosinase enzyme. There is absolutely no substitute for quality, when it comes to your health. Both Myrosinase enzyme and Glucoraphanin compound need to be present to produce Sulforaphane. Consumers need to be aware that products on the market labelled as ‘extracts’ have had the Myrosinase enzyme deactivated. This means that the broccoli sprout or seed ‘extracts’ have had the Myrosinase enzyme deactivated during their manufacturing process. Therefore, the ability of an ‘extract’ (or any product not derived from whole broccoli sprouts) to deliver any significant Sulforaphane to human cells, regardless of its Glucoraphanin levels, is unlikely at best. It takes both the Glucoraphanin compound and the naturally-occurring Myrosinase enzyme in the presence of moisture, to produce Sulforaphane. It’s important to understand that freshly-grown broccoli sprouts vary greatly in their quality and potency, which means their ability to deliver Sulforaphane to your cells will also vary. 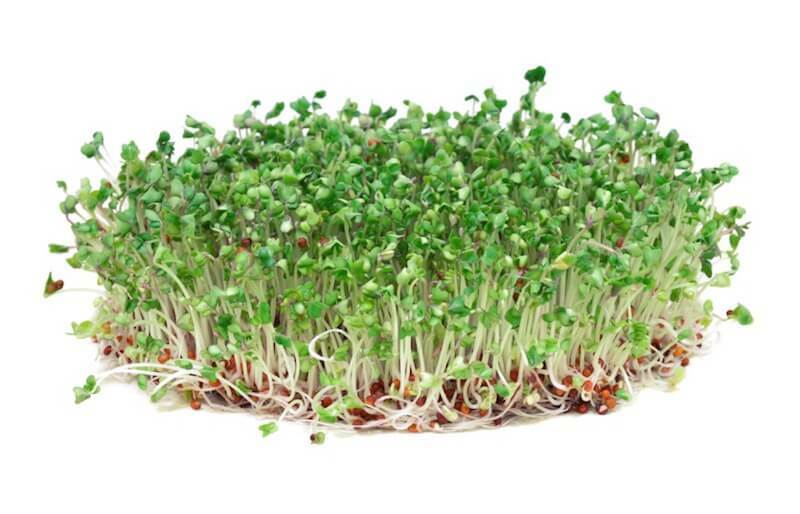 Freshly-grown broccoli sprouts also contain an inhibitor called: Epithiospecifier Protein (ESP), which restricts the broccoli sprout plant’s ability to produce Sulforaphane. The broccoli sprout raw material contained within the BROC SPROUT 2 capsule is unmatched in its quality and potency. They source only the best broccoli seeds globally, grow them in a controlled environment and then maximize and preserve their Myrosinase and Glucoraphanin levels, while simultaneously deactivating the ESP protein inhibitor. BROC SPROUT 2 can be purchased on Amazon, or at the BROC SPROUT website. 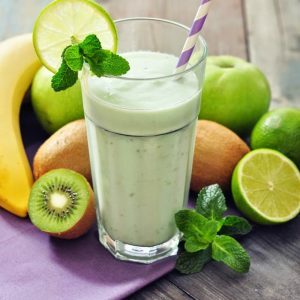 As we welcome spring and celebrate all things green, Broc Sprout 2 offers a delicious new smoothie — just break open the capsules into the blender and enjoy! 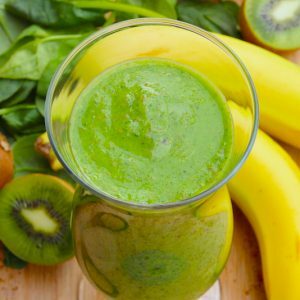 Tightly pack 1 cup of leafy greens in a measuring cup and then toss into blender. Add almond milk and blend together until all leafy chunks are gone. 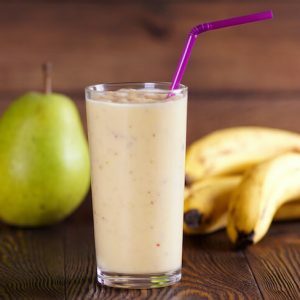 Open 2 capsules of BROC SPROUT 2, pour contents in smoothie & blend again. Disclosure: This is a sponsored post for BROCSPROUT 2. I have been compensated through the Live Love Fruit network. All opinions remain my own and I was in no way influenced by the company.